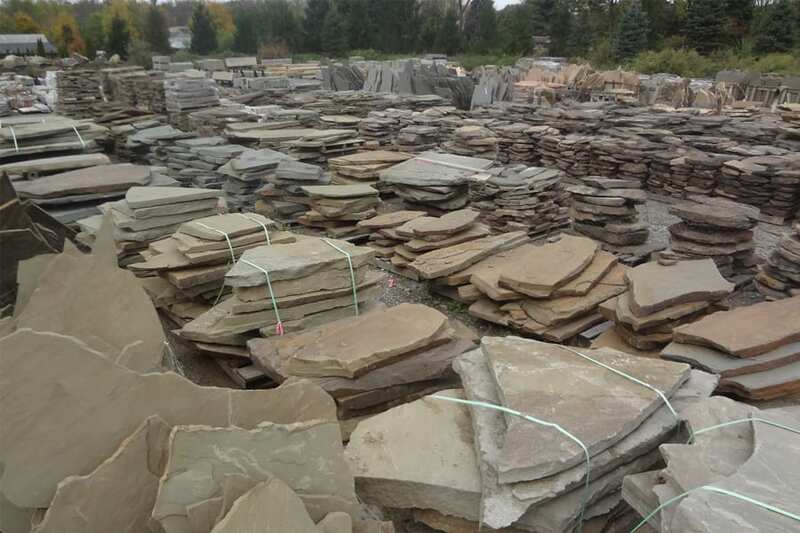 Part of a huge family of stone, and our most popular family of stone. Karney is distinctly brown in appearance but can include a wide range of accent colors. Karney stone comes in countless forms. Distinctly light to medium brown, with accent colors that can include gray, rust, tan, and even green. 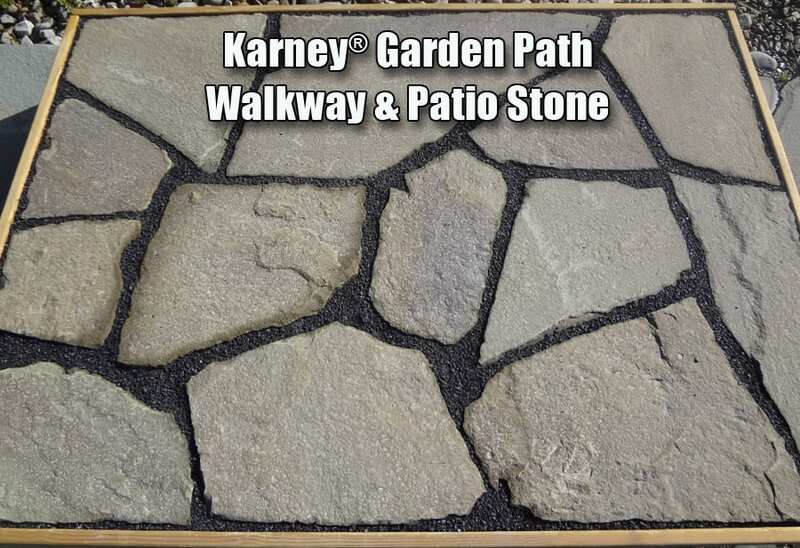 Karney® is a very popular family of stone and Karney Irregular in horizontal pallets may be the most popular smaller piece irregular walkway and patio stone we offer. Beautiful brown tones look weathered and aged right off the pallet. Smaller pieces tend to be easier for the first-timer to arrange. Karney® is a diverse family of stone that includes larger irregular stone in vertical pallets, wall stone, stone steps, building stone, treads, and more. 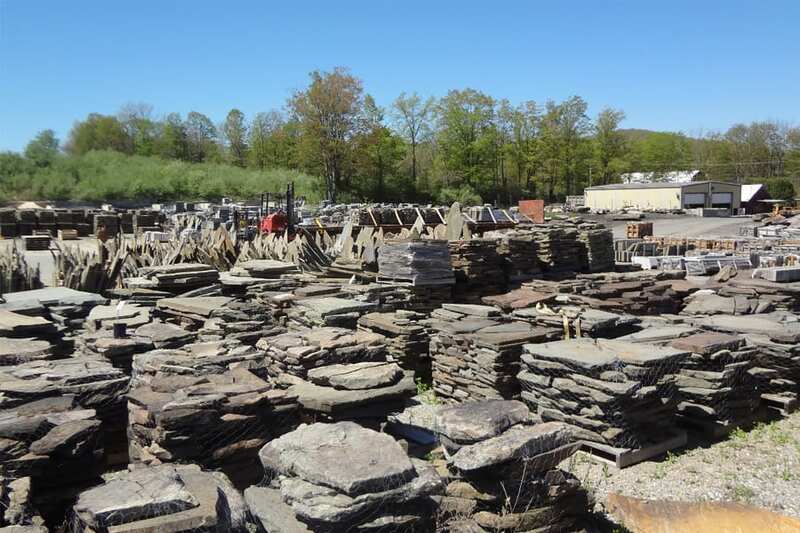 If you are looking for a similar stone theme in various parts of your landscape - consider Karney® stone from Wicki Stone in Great Meadows, New Jersey. ®Karney is a registered trademark of Wicki Stone. 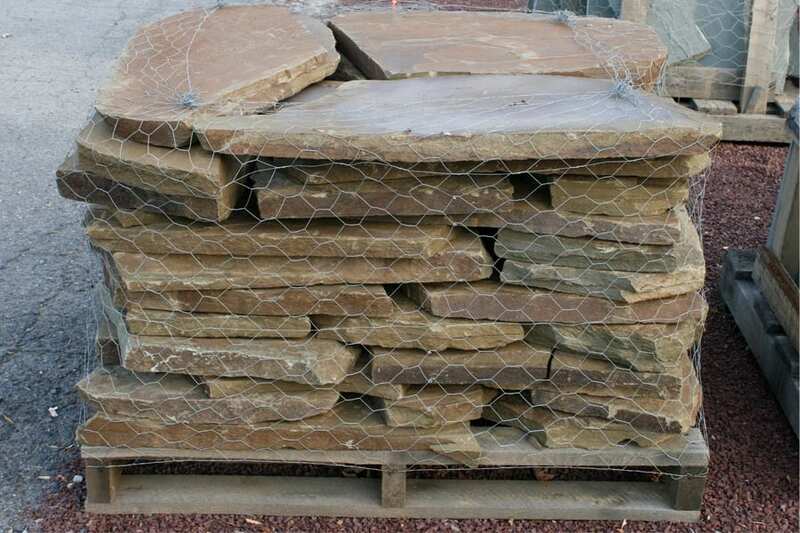 Example of Karney walkway and patio stone in a garden path arrangement with stone dust in the seams. Why do you call it a horizontal pallet - smaller pieces? Karney irregular comes in horizontal pallets which have smaller pieces than either the large piece horizontal pallet which is called oversized, or the vertical Karney pallets. Wicki Stone carries these products that match or compliment Karney® Irregular walkway and patio stone.